Personal: Product can be used on one domain and Support is on one domain. Business: Product can be used on unlimited domain and Support is on one domain. Developer: Product can be used on unlimited domain and Support is on unlimited domain. 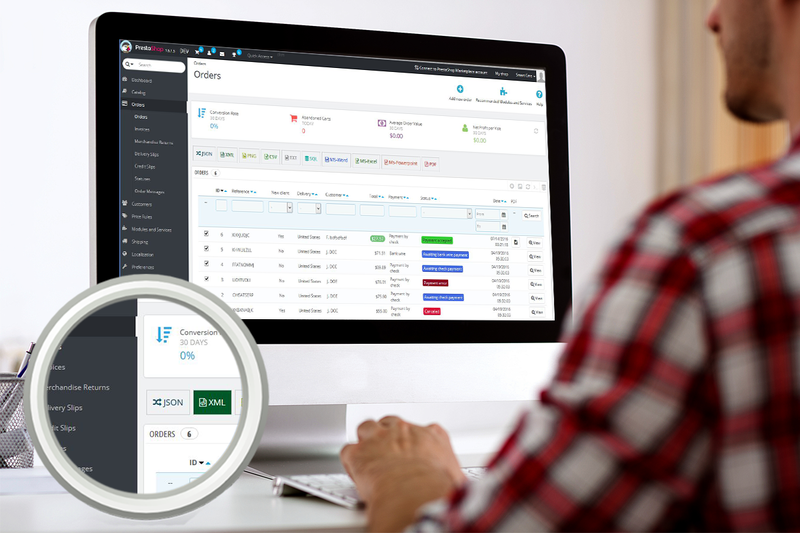 You have a PrestaShop website, your sales is quite good. However you have difficulty in statistical orders, invoicing or any work relating to orders. You must export orders list but do not know yet how to do it. 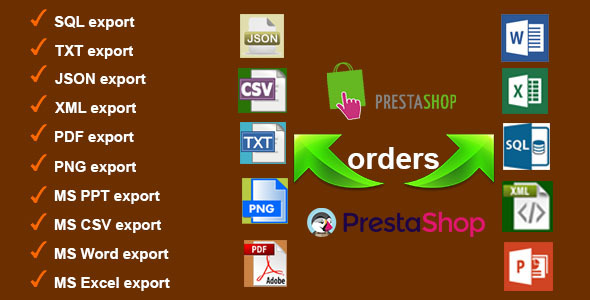 Don’t worry, come with “Orders Export for PrestaShop”, a powerful module will do all that work completely automatically, supports many file types to export. You just choose orders and click. If you have any difficulties or want to customize some features do not hesitate to contact me. Plugin Features. Just installed and use it.